Explain why energy codes are important to the building industry and how they have affected the built environment over time. Discuss the prevailing energy codes and how they work together to achieve increasingly stringent energy objectives. Identify the characteristics of a code-compliant, high-performance wall. Describe the ways in which masonry wall systems can work to meet code and result in other efficiencies. A wall is a complicated thing. It can keep a structure warm or not; let moisture in or not; improve occupant comfort or not; serve as an effective structural element or not; and be efficiently constructed and installed or not. A wall combines all of these features to play a major part in determining the energy efficiency and ultimate performance of a structure. Designers have numerous options in creating effective walls, and the government along with industry organizations have set guidelines to improve wall design practices to help reduce impacts of the built environment. 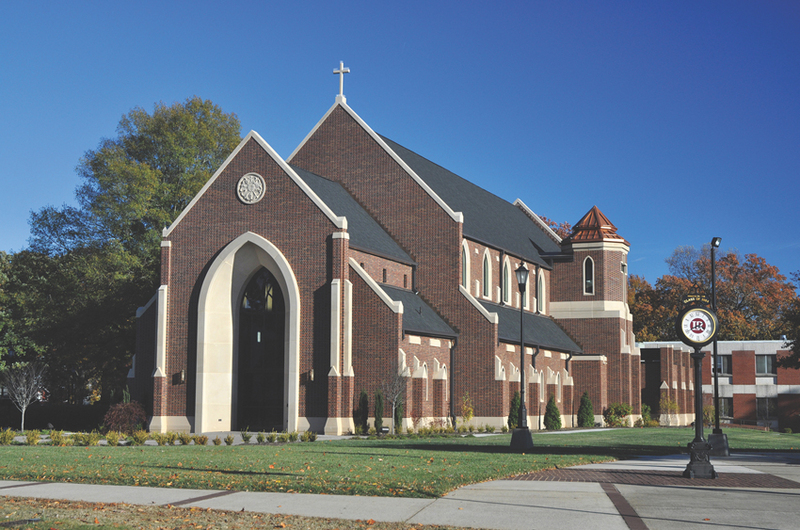 High-performance masonry wall systems are engineered to meet and exceed codes. Accordingly, greener targets, codes, and regulations have evolved. Energy codes are regarded as one of the quickest, most economical and cleanest ways to reduce energy use in the built environment and help ensure a sustainable future. Not only do energy codes reduce needless energy consumption and help protect the environment, they provide common benchmarks that drive new designs and technologies. Among the most promising of these new technologies from an energy-efficiency perspective are preassembled masonry wall systems. Of course, the history of masonry is as old as the history of architecture itself. The pyramids, the Colosseum, and Notre Dame are all iconic masonry structures that have endured for centuries. Historically, masonry has been used for its longevity and low life-cycle cost, its permanence and quality, and its aesthetic value. But what’s new here are today’s masonry wall systems, which incorporate the inherent characteristics of masonry along with improved quality control, more advanced construction methods, a better understanding of masonry’s properties, and more sophisticated design. This course will review relevant code considerations, focusing on these new masonry wall systems, and how they’ve become a game changer in meeting and exceeding prevailing energy targets. There are a plethora of energy codes and rating systems today, and making sense of them can be a labyrinthine and time-consuming undertaking. The critical theme, however, is that all of the codes are moving toward more stringent energy targets and higher R-values. A few of the major initiatives and code families are discussed next. The 2030 Challenge sets achievable and affordable targets to dramatically reduce the energy consumption of the Building Sector by 2040 and beyond. 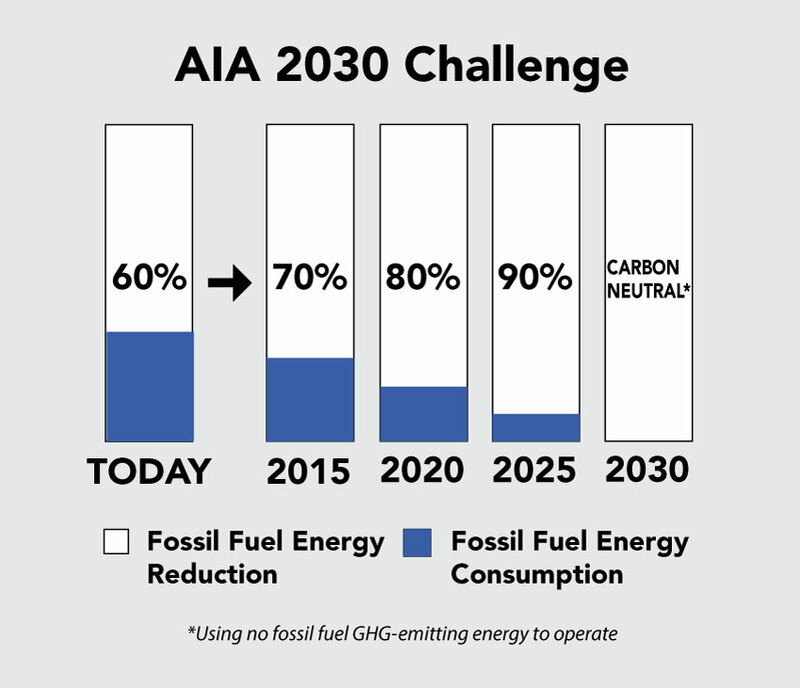 Composed of several industry groups including the AIA, Architecture 2030 issued The 2030 Challenge, calling for a dramatic reduction in greenhouse gas (GHG) emissions by changing the way buildings and developments are planned, designed, and constructed. The ultimate objective: carbon-neutral buildings by the year 2030. Interim goals are also targeted: fossil fuel reduction for all new buildings and major renovations, which was increased to 70 percent in 2015, 80 percent in 2020, and 90 percent in 2025. These goals far exceed those of the current energy codes. Architecture 2030 suggests that targets may be accomplished by implementing innovative sustainable design strategies, generating on-site renewable power, and/or purchasing (20 percent maximum) renewable energy. Of these three approaches, sustainable design strategies are by far the most important. While manufacturers can help with new and better products, the bigger opportunity falls to architects, who can employ such design strategies as building size—volume and floor space—orientation, air tightness, higher R-values, thermal mass, and continuous insulation to reduce energy costs. Rather than develop actual building codes, ASHRAE sets standards that are typically followed by such organizations as the International Code Council (ICC), the association of construction industry members that develop I-codes, which are used in the design, build, and compliance process to ensure safe, sustainable, and affordable construction. The ASHRAE standard provides minimum requirements for energy-efficient designs for buildings except low-rise residential buildings. Originally published in 1975, ASHRAE 90 has undergone multiple editions due to the rapid change in technology and energy objectives. It was updated many times, and its name was changed to the ASHRAE 90.1 standard in 2001. Many states apply the standard or equivalent standards for all commercial buildings, while others do so for all government buildings. The most recent AHSRAE update occurred in 2013. The IECC is published by the ICC. The IECC, which references ASHRAE standards, is an I-code, a model code adopted by many state and municipal governments to establish minimum design and construction requirements for energy efficiency. Introduced in 1998, the IECC addresses energy efficiency on several fronts, including cost savings, reduced energy usage, conservation of natural resources, and the impact of energy usage on the environment. The IECC 2009 was updated in 2012 and then again in 2015, with proposals for 2018 already being considered. Each revision of the IECC ratchets up energy-performance requirements. IECC does not mandate across-the-board changes, and its changes are only enforceable when they are adopted at the state or local level, where they may include the core provisions combined with the objectives of the adopting jurisdictions—a situation which makes it imperative that architects build to the applicable code for the jurisdiction where the project is located. While most states have adopted some form of the IECC, many jurisdictions do not adopt new versions of the code immediately after publication. As of August 2012, the commercial code status is as follows. As of July 2016, most states and U.S. territories—43 out of 56—require ASHRAE 90.1-2007/IECC 2009 equivalent or more. Seven jurisdictions have adopted the latest codes and require ASHRAE 90.1-2013/2015 equivalent or more, and 10 have either no statewide energy code or less-efficient standards than ASHRAE 90.1-2007/IECC 2009. 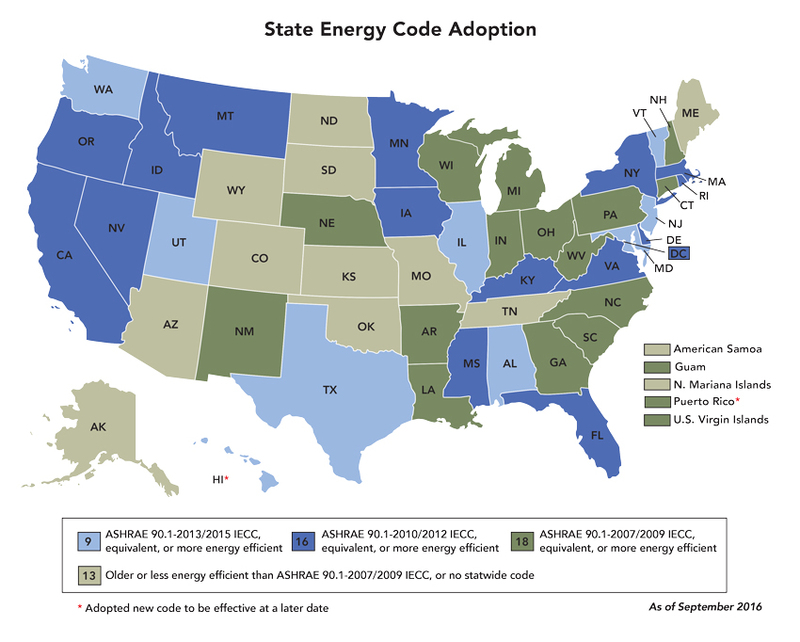 See the State Energy Code Adoption map for the status of state adoption of energy codes. The U.S. Department of Energy (DOE), through its Building Energy Codes Program (BECP), has worked to enable 70 percent of states to adopt either the 2009 IECC, the ASHRAE Standard 90.1-2007 or better by 2015—a goal which has been met—and 90 percent of states to adopt these codes or better by 2017. With the plethora of codes—ASHRAE, IECC, IBC, and state and local versions thereof—and the fact that codes frequently reference each other, it is critical that all design professional are on the same page concerning which code to follow at the beginning of the project.